The cars or any other vehicle with constant use requires proper maintenance. This is only possible with the help of a professional car mechanic. The reason is simple and that is they specialize in both repair and maintenance. They have the expertise in any model of automobiles. It is advisable to get a regular preventive maintenance of the vehicle, as it will prolong the life and will lead to efficiency in fuel. This saves money as well as time. The choice of a right mechanic is very important. This will give you additional benefits. It may be a difficult task but it is valuable for your vehicle. They are the ones who perform any kind of services starting from routine maintenance to major repairs. They are also certified staff and their behavior will be highly professional. They will make it a point to consult you before they do any kind of work. They take time with their customers to explain the time required in doing the job and the cost required for the same. The right car mechanic will have the right tools and equipment specifically suitable for your vehicle. Hence, there will be hardly any chance of problems during the time of repair or maintenance. The added advantage is that they have with them the official manufactured parts of the respective companies. So, the car mechanic will make the car run more efficiently. The car mechanic is given specialized training by the factory. Therefore, they well understood all the pros and cons of the cars. They can decide if the vehicle needs preventive maintenance or repair. They have the detailed knowledge so you will have no stress regarding the vehicle. Experience of the car mechanic really counts. They can focus on the exact problem and service the latest brand of vehicle available in the market. 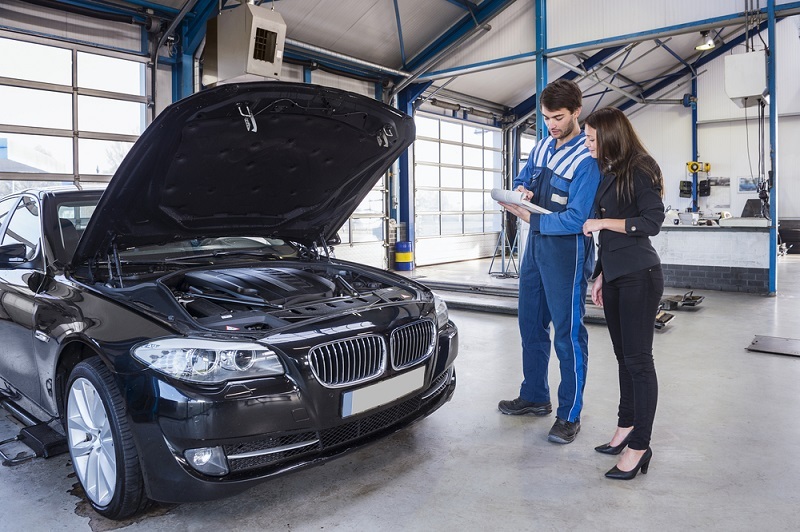 They understand the specific details of the vehicle leading to accurate diagnosis. They are efficient enough to find out effective solutions to the problem, the vehicle is facing. The repairs are done faster if the owner of the car has a good relationship with the car mechanic. They help to diagnose the problem faster, as they are aware of the entire history of your vehicle. They know the replaced car parts and the driving patterns of the owner that affects the vehicle. The cost of repair is quite affordable, as they do not take much time in diagnosing the problem of the vehicles. You must pay a cheaper bill, which is not possible if you have not developed a good relationship with the mechanic. It is always nice to be familiar with the environment where you must work or get the work done. The mechanic knows your driving habits. Hence, he will recommend you right to keep the car in a good condition. The trust built with the mechanic is vital. You must be nice and friendly with them so that they will enjoy doing the work for you like that of a friend. A car mechanic is a good profession that the one can show interest. The point is that if the one who wants to be a mechanic will have to be 100% committed to the profession. There are different auto shop courses that will be beneficial for the person who wants to pursue this profession. This will give you wide information on the subject that will help you to make a right choice. The car mechanic gains experience by working on the vehicles and if you have a personal car, you can save money.